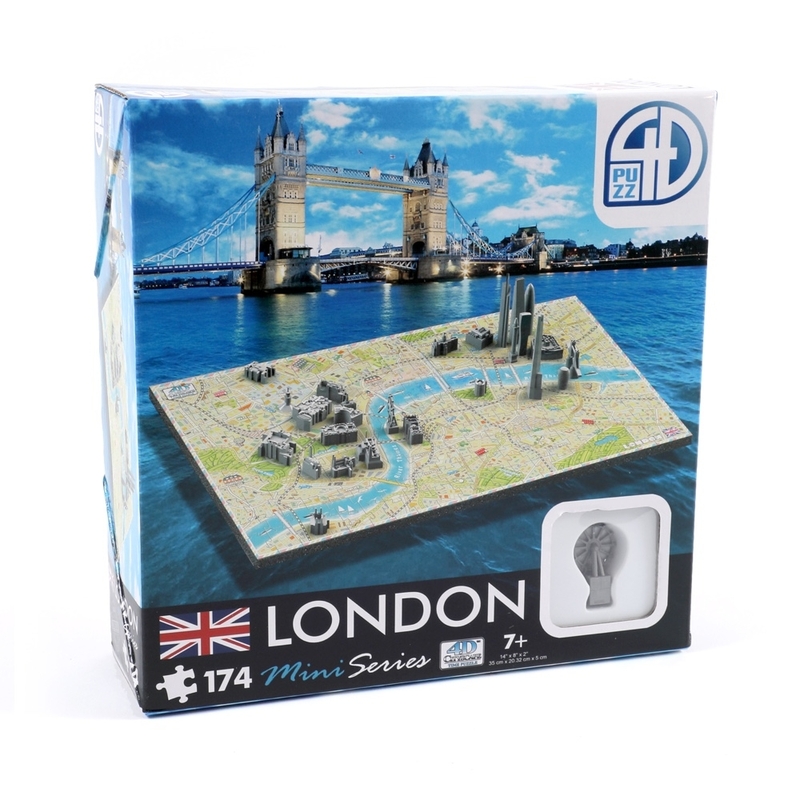 Collect 12 Ancient Egyptian Artifacts! 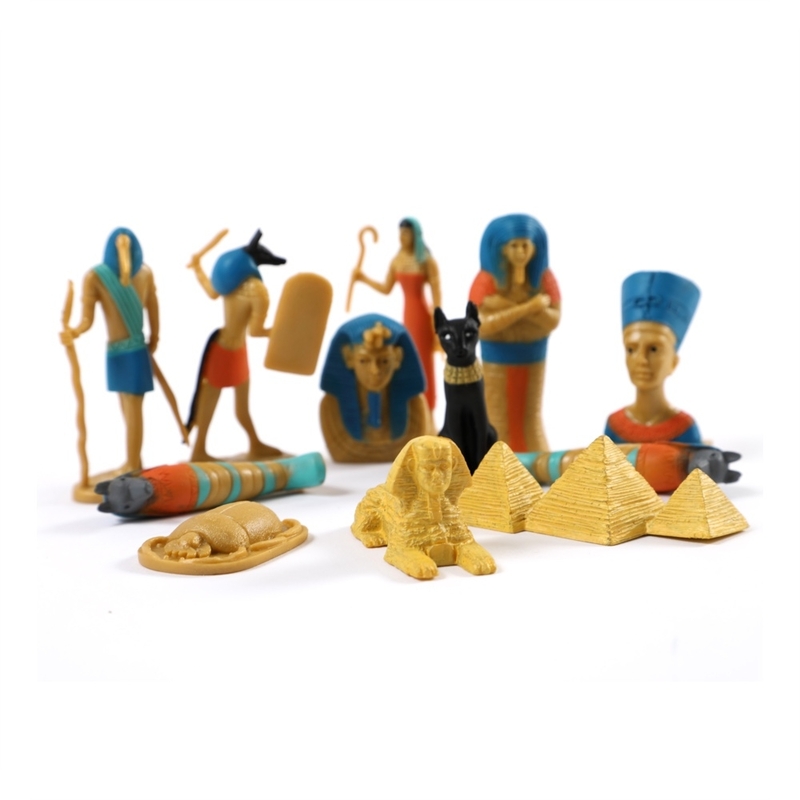 Uncover the secrets of the ancient Egyptians with our collectible toy set! 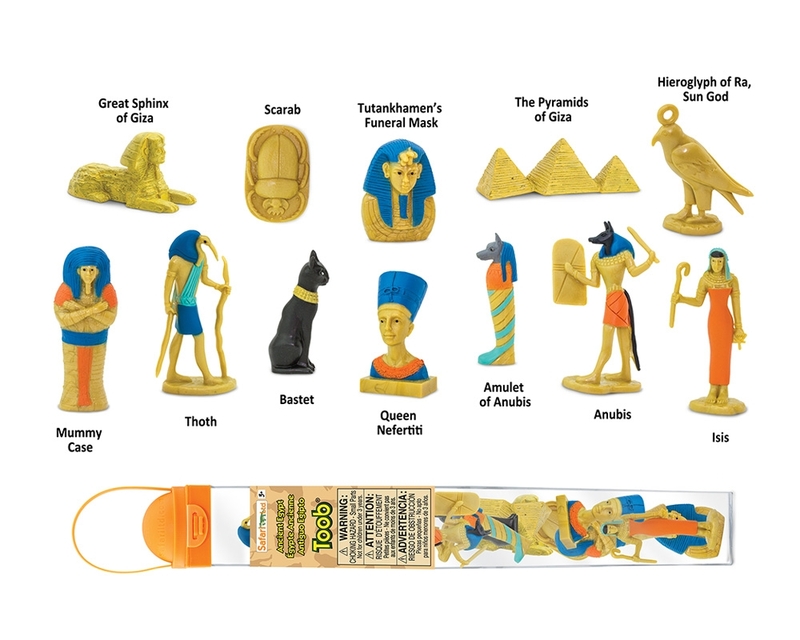 This 12-piece Toob includes Nefertiti, Bastet, King Tutankhamen, Isis, an amulet, a mummy case, a scarab, the Pyramids of Giza, the Sphinx, Thoth, Anubis and a hieroglyph of Ra. 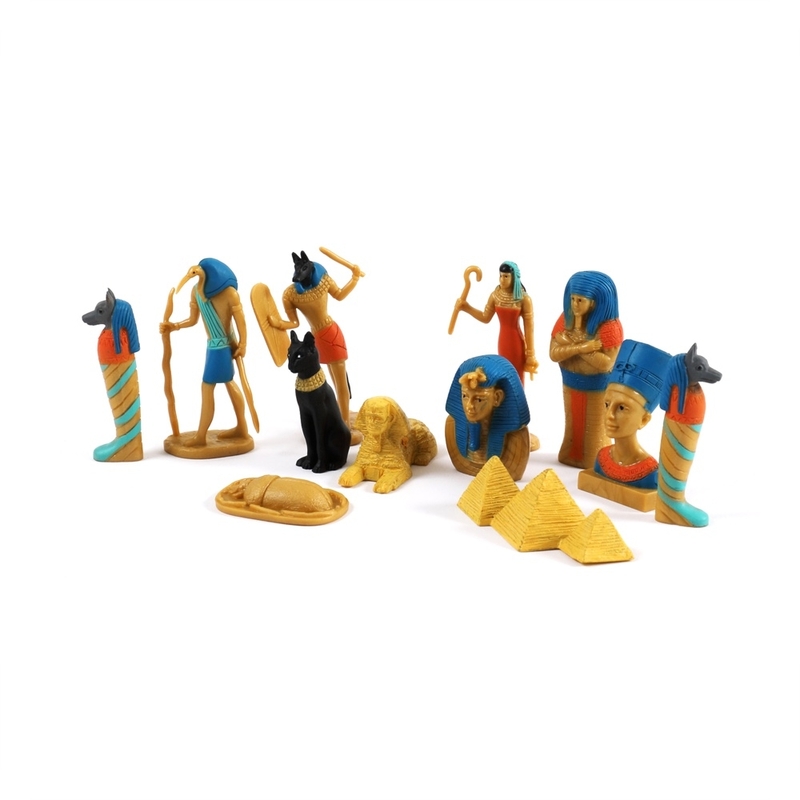 This fun and colorful play set encourages kids to visualize what they’ve learned about Egypt for a deeper immersive experience. In ancient Egypt, the color blue was said to reflect the heavens and the universe, which is why many statues and representations of gods, including these figurines, are colored blue. 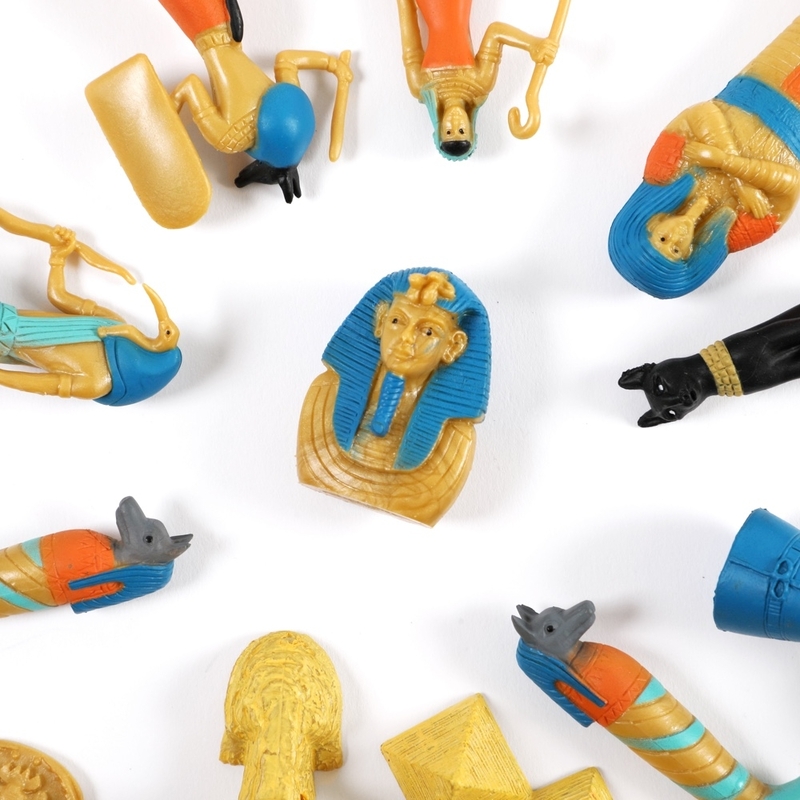 Artfully designed and handpainted, these miniature historical toys will give kids a chance to engage in imaginative play and learn about the rituals and history of ancient Egypt.